The first thing to do when home flower gardening is to figure out what kind of garden you'd like to have; what colors would you like to see, what fragrances would you like to smell? When home flower gardening you'll be astonished at how far a little planning can go. mix and match early-season bloomers, mid-season bloomers and late bloomers. 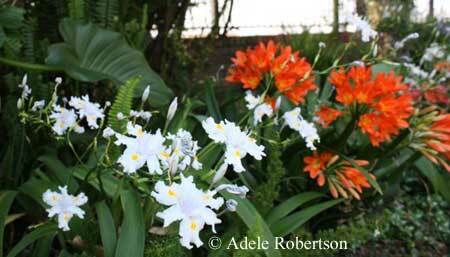 between groups of perennials, plant groups of bulbs. You can actually start your home flower gardening a little earlier than when you should, if you start plants from seeds in the house. Jiffy pots made of compressed peat moss are handy. You put starting mix or potting soil, let the plants grow for a few weeks in sunlight (until they reach about 4 inches) and then put outside. The jiffy pots will rot and the plant roots will grow into the soil. Also check the back of seed packages for flower gardening tips and information on when to plant seeds in your area, how to plant them and how close to sow the seeds. If you get seedlings, be prepared to have to put them in the ground as soon as possible. When planting, it's a good idea to place smaller plants up front and the larger ones in the back. 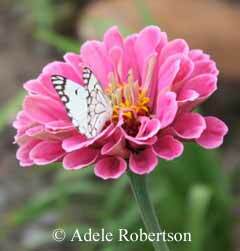 The leaves of perennials can also be used to give color to your garden, once all flowers have finished blooming. Indeed, green is not the only color leaves come in; pay attention to those plants whose leaves are burgundy or silver-like, and use them as "space fillers" when flowers are not in bloom. Also make sure to avoid shallow, rocky soil, any areas where water tends to stand, and steep slopes. After you've planted your flowers, lay down some mulch (compost that isn't completely decayed) over the soil but make sure it doesn't touch the stems of your plants. As with all organic matter, mulch adds nutrients to the soil, blocks the growth of weeds, maintains a stable soil temperature and increases the soil's water retaining capacity. When home flower gardening, aim to keep a constant 2 to 3 inches of mulch around your plants in the growing season. As an added bonus, you could place layers of damp newspaper under the mulch to block the growth of weeds, which could be detrimental to your flowers. No chemical pesticides, just a focus on improving soil quality and using plants wisely. Indeed, there are some plants that, when grown in combination, can actually benefit the garden (like roses and garlic). Some nice additions to a flower garden are the foxtail lily, the lily of the Nile (also known as the African lily) and some delphinium. 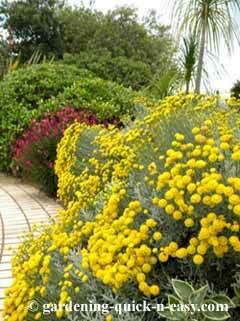 If you'd like to attract butterflies, get some butterfly weed, lantana, or butterfly bush.